Last week we examined the physiology and causes of acne, an affliction from which as many as 50 million Americans suffer. 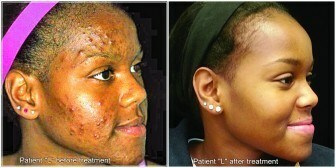 This week we will examine in detail various options for treating acne and acne scarring. Topical products can come in many forms. These include gels, creams, lotions and solutions. Your doctor will recommend the best form for you. Antibiotic lotions and gels: These are used to both reduce the bacterial population of the skin, but, most importantly, they act as effective anti-inflammatory agents. Retinoids: These prevent the clumping of skin cells so they don’t plug the pores. They may also break up pores and help to reduce oil production. Many dermatologists believe this is the fundamental treatment for acne. Topical anti-inflammatory medications: This is a newer class of medications and includes potent anti-inflammatories such as dapsone. Lasers: Lasers and other light-based treatments can reduce oil production and inflammation that contribute to the cause of acne. Antibiotics: These are used for their potent anti-inflammatory properties. Hormone modulators: These include birth control pills and anti-androgen medications like spironolactone. Steroids: These can be used short-term as pills to prepare the skin for a big event like a wedding, prom, senior class picture, or any big event where the skin needs to look its best on short notice. 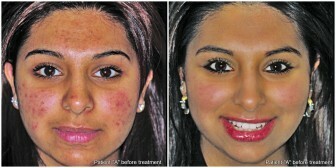 This is a rescue treatment for very special situations and certainly not a long-term approach to acne control. Steroids can also be injected into painful acne lesions for pain relief and good results short-term, but can also cause depressions at the injection site. Retinoids: This class includes isotretinoin. Isotretinoin is a variation of vitamin A and is the most effective acne treatment, the only FDA-approved medication for severe nodulocystic acne. It is the only medication that can cure acne, but it has many complications and must be used with strict oversight and under the close watch of a dermatologist. If pregnancy occurs during the taking of Isotretinoin, severe birth defects can occur. All patients must enroll in the FDA safety program called “I Pledge.” There are regular monitoring visits and other risks and considerations with this medication that can be discussed in detail with your dermatologist. We also employ unique acne peels, facial treatments and laser treatments to combat acne. Keep your skin clean — shower after heavy exercise. Gently clean your skin with a cotton washcloth and gentle non-detergent cleanser. No need to scrub your face or use abrasives that exfoliate. Use make-ups that are non-comedogenic. Use acne medications on a regular basis for best effect. Most medicines work to prevent acne, not to clear it up during an outbreak. If acne is not better after eight weeks of using an over-the-counter product(s), consult your dermatologist. The best treatment of acne scars is to prevent them in the first place. 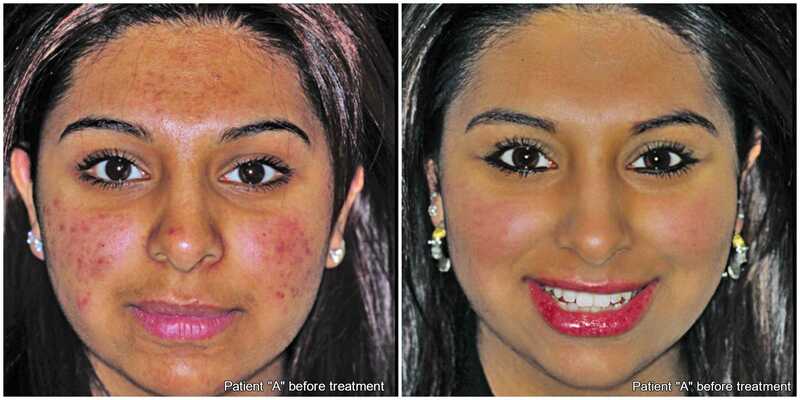 This can be accomplished by using effective acne treatments and by not manipulating or squeezing acne lesions. If scarring does occur, it can be treated. I tell patients I don’t want perfection to be the enemy of very good when it comes to treating acne scars. In fact, it is impossible to change an acne scar back into normal skin. The goal is to make scars look more like the surrounding skin so the contrast is not as great, and then the scars will look better. There are many options when it comes to treating acne scars. 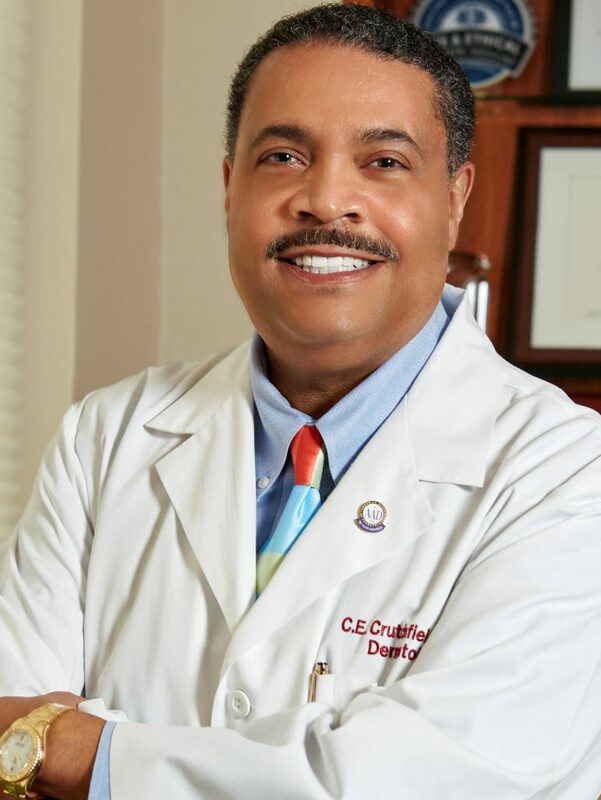 These include laser treatments, the injections of fillers like platelet-rich plasma, and saline injections that cause the skin cells (fibroblasts) to produce collagen to fill in the scars. We also use light chemical peels to treat acne scars. Many times we will recommend a combination of these treatments for the best results. It is important to realize that the vast majority of the medicines we use, both over-the-counter and prescription, are designed to make acne better. They’re absolutely not designed to make acne totally clear. The key is to find a product or combination of products that work best with an individual’s skin physiology to improve acne to a point where patients are happy. Today, there are many effective treatments to improve acne, but no single treatment is perfect for everyone. If you have acne that bothers you and over-the-counter medicines are not helping, be sure to see your dermatologist.